The craters of Ružbachy have nothing to do with volcanoes or volcanic eruptions. 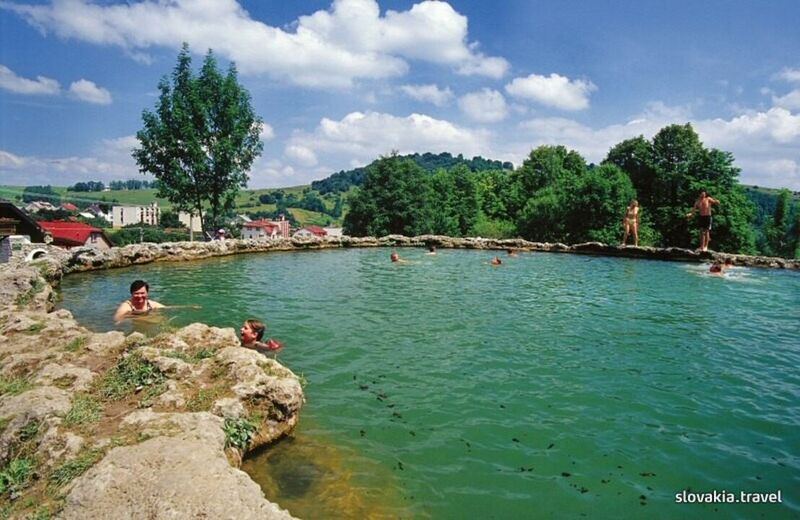 They are results of the collapsed travertine monticules, which precipitated around the mineral springs rich in calcium. Other travertine craters are dry. One of them is Kaplnkový kráter named so because of the chapel standing on its edge. Its dimension is 51 × 32 metres and it is 4.5 metres deep.